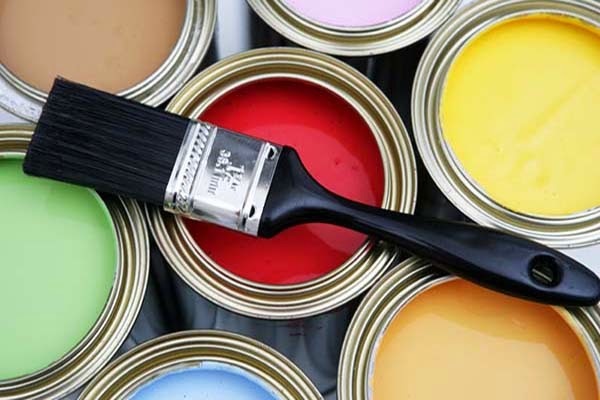 Have you ever remodeled or simply repainted a room in your house? Sometimes a fresh coat of paint makes me plain giddy-- the shine, the sheen, the way new paint makes something that was feeling tired look completely new! That's how this blog space makes me feel today (I'm still relishing in the new colors and design! ), like I just remodeled a room in my house. It makes me want to invite you all over to drink coffee, eat cookies and enjoy the fellowship of each other's company, as we share stories about our families and the day-to-day pursuit of making something beautiful of this adventure called life. But since that doesn't always work out, I keep writing these little posts. It's one of my favorite ways to connect with you. Its a way of sharing little pieces of me, even when our schedules or geographical locations don't coincide. But, I always come back. Because it's become a part of me that I can't let go of. Because it's part of the way I process my days. Because it's part of the way I capture the moments that are fluttering by with such speedy intensity that I can hardly comprehend how the 3T Nemo underwear I recently found in my kindergarteners top drawer don't fit her any longer. 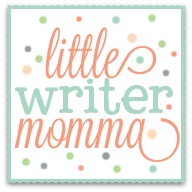 This post is #408 in my Little Writer Momma blogging journey. That's hard for me to believe! When I look back at my early posts I am reminded about many things. In the same way that looking through old pictures kicks up pangs of nostalgia and sometimes cringes of embarrassment, reading through old blog posts does the same...Some of the pictures make you say, "Awwww, wasn't that sweet," and some of the pictures make you say, "Ewww! Did I really do that? Did I really wear that?" But, at the end of the day, as I read through the old, and then the recent, I'm reminded that I'm a blessed woman and that I've grown as a parent by leaps and bounds in the last eight years. I'm very thankful for both of those things, and reminded that life is a journey and that it is the process that is important, not some hoped for destination. How much I've grown in the process of helping them grow. We are climbing the mountain step by step over here. And, while early on in my parenting I expected to naturally be at the top of the mountain (and often found myself frustrated when I wasn't) on a regular basis (you know, it was supposed to be continuous sweet cuddles, accolades from my children for my awesome culinary skills at dinner and no whining EVER! ), I'm more content these days to just enjoy the journey and to be peaceful right where I am. 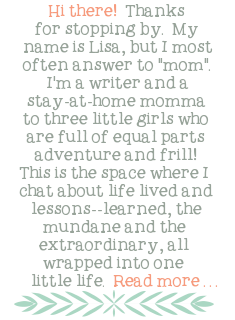 I look forward to continuing to share my Little Momma life with you one blog post at a time..the posts may be fewer and far between these days, but they'll always be honest, and I'll keep coming back. I promise. Here's to finding ways to enjoy the journey, one precious day at a time! I did not set New Year's resolutions this year. If I'm honest, I was feeling kind of anti-resolutionish. I've set resolutions before. I like resolutions, I do. I think resolutions are good for young high-school kids, and college kids, and even folks in their twenties. I think resolutions are good for empty nesters and retirees. 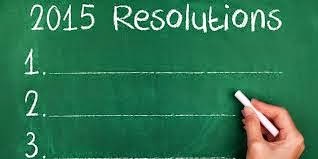 I think resolutions are good for singles and non-parenting types at every age in-between. But, let's be honest, resolutions are tricky, at best, for moms with little kiddos. I've made resolutions in the last few years to organize my house from top to bottom...it's still a mess on many days (though, I'm making strides this year...resolution free. And also coming to terms with what "clean" looks like when you have young children!). I've made exercise and diet resolutions in years past and while I'm currently very peaceful about my diet and exercise routine, it all emerged slowly, over time, with small changes day by day...never under the dictation of rigid goals or resolutions. I vowed three years ago to read the entire Bible in one year, with a nifty reading plan by my side. I'm about a third of the way through that reading plan. 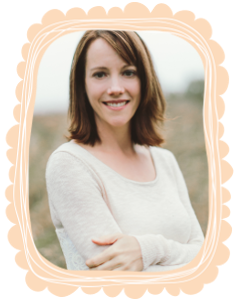 The truth is that the day-to-day can change SO much sometimes in the nitty gritty of raising the kids, that I've found the best approach is to not be rigid with my expectations. I've come to realize that that best-selling book What to Expect When You're Expecting could be summarized in three words: Don't have expectations. So, I'm trying a different approach this year. An approach I've heard about from some friends and other writers when it comes to thinking about a new year, and setting some intentions around that year. Instead of fully formed resolutions and the accompanying plans to meet them, the idea is to choose a "word", an overarching theme for the year, and let that guide your thinking. For me, that word was something I felt God may have been pressing on my heart through my prayer times. What are you trying to teach me God? What are you showing me? What do you want me to learn...in one word? Loud and clear. It's the word that came to mind over and over as I moved throughout my day to day tasks as a mom, a writer, a wife, a woman of God. Contentment with the place that I live (a very cold, and often gray, place! ), with my stage of life, with what that stage of life allows and doesn't allow. Contentment with my home, and all of its blessings and imperfections. Contentment in my marriage (not that things are bad, but parenthood brings stress, and stress can breed frustration-- what would it look like to live in total contentment?). To me, contentment, true contentment, means trusting, resting and living in the peace that God has everything under control. He's got the whole wide world, and my little world, in his hands. If I really believed that, would I ever have a reason to be discontent? If I truly believed that God has a plan, and is totally in charge, it seems that I should never be discontent. Ever. Sure, I might have longings, desires, even frustrations from time to time, but I would allow myself to consider those things for a few minutes and then turn them over to God. So, if that is what contentment looks like, what does discontent look like? Mining my life for an answer to this question it seems to me that a lack of contentment breeds restlessness, discouragement, frustration, and dissatisfaction. Yuck. While I don't want any of those words to describe my life on a consistent basis, I have to be honest and tell you they all sneak into my soul on more occasions than I would like to admit...particularly in certain areas of my life. 1. Being a stay at home mom makes me restless and discouraged some days...I miss intellectual interactions with professional peers. I miss working creatively on editorial projects. I even miss putting lesson plans together and watching them unfold in front of a classroom. I could write an entire post on this one topic alone! The truth is that being home with kids all day, every day, can be a hard and tedious task-- one that comes with a lot of distractions, little time to focus, and way more chaos than my highly sensitive mind is ok with sometimes. I miss just being able to clean a bathroom without constant interruption. Heck, I miss going to the bathroom alone some days! Sometimes I long for more time and less chaos. More time to rest! More time to read. More time to run and write. More time to craft cool meals without fear that someone is about to start fighting, yelling, or spilling something major in some part of the house. What if I accepted that this is all part and parcel of this stage of life and completely gave into what is? The time I do have. The chaos that is. What if I could more clearly see the blessings in it all, instead of the lack? What if I fully gave myself over to it all, accepting it in a fully contented way, instead of fighting against it in my mind, wishing there were some way to change the reality? 2. Living in Buffalo makes me discontent...sometimes. I'm not a huge fan of the weather (I'm blaming seasonal affective disorder! ), and there are other things that I won't go into because I respect Buffalo and its people. There is plenty to be thankful for. Sometimes it just feels like I want something different. Something else. More artistic and cultural stimulation. More cool opportunities for things that I enjoy. More opportunity to be outside...without winter expedition attire. 3. My house, as lovely as it is, has plenty of of things that I would like to change. The backyard is nice, but small. We have just one full bathroom upstairs (and 3 girls mind you, who will all by vying for mirror space in a few years!) Our "master bedroom" is not very "master". The cabinet and pantry space in the kitchen is less than ideal. And, there are now a whole bunch of unfinished house projects that we swear we'll finish someday, but can't seem to find the time for. I'm sure many of you have your house lists as well, right? The things that make you dream about a free home makeover, or what a "dream" house would look like? Those are my big 3. The things can start to feel less than ideal if I let myself go down that road mentally. If I let myself go down that road mentally. But what if I don't? What if we don't let ourselves go down that road mentally? What if we practiced contentment the way we might practice any other discipline? Good eating. Drinking more water. Praying more. Giving more. What if we were intentional about it, instead of passively letting it control our thinking? While sometimes such restlessness can lead to good change and movement in our lives, sometimes God is simply calling us to be happy and content with where we are and what we have...for now. So, what would it look like to be completely content in this season of parenthood? In my current home? In this city called Buffalo with it's impressively cold and snowy winters? I'm still working out the answer to that, but my feeling is that it would yield peace and an ability to embrace the moments more fully. To be completely content with my season of life would mean accepting, fully, that while God has created me with a particular set of interests, passions and natural inclinations, he has also created me to be a mom, who was born and bred in a cold-weather town and who feels called to be home with her kids right now-- a call that feels stronger than my desire to be working/writing in a more structured and professional way. I would be more peaceful, joyful, and engaged in the day to day stuff...realizing that some of the more mundane components of all of this (like cleaning eggs off the floor for the third day in a row), won't last forever. I would be more at ease and peaceful about the mess, realizing that it comes with the territory. I would be easier on myself when it feels like I can't keep up, realizing that that comes with the territory too. I would remember that our house is a blessing for which I am quite thankful, that my living in Buffalo is no surprise to God, and that He has the whole writing/professional thing under control...with opportunities that will arise when the time is right. But, contentment doesn't magically appear overnight, simply because we suddenly think it sounds like a good idea. True contentment is a day to day journey of laying down expectations and being peaceful with what is. It is being totally cool with who you are and how things are going. It, ultimately, comes down to trusting that God has a plan, and realizing that your trust and faith in Him, and His plans for you, need to trump your preconceived ideas about how things should be going. Contentment is sometimes hard soul work, a discipline of sorts, with peace it's best reward. So, this year I'm working on being o.k. right where I am. Not because I don't have aspirations, or dreams, but because sometimes what life requires is to simply be where you are, no questions asked, and to be alright with it for a time. To even feel abundantly blessed by it and to be a blessing to others as well. Contentment is my word for the year. My anti-resolution resolution. My desire to accept the imperfect as perfectly ordained, and to practice living more fully in that space.